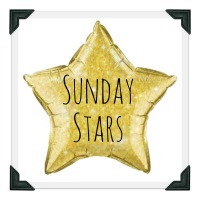 This is an easy post for me, I don’t really bring hairdressing onto my blog so much, which is crazy, as that is what I do, a career I have loved. So I have decided I am letting hairdressing in, although I will not allow it to take over. But the true fact is that many people are total puzzled by all things hair, some are great and totally on the ball, but from experience, some genuinely find all things hair a total mystery. I can help with this, so why not. I am starting today with how to choose and use a hairdryer. Yes, I know, point and turn on. But to get your hair smooth, and get lots of volume, there are simple steps you can follow that will help you achieve this. I am currently using the Braun Satin-Hair 7 SensoDryer, and must say I am getting on great with it. It has all the features I expect from a professional dryer, and as someone with naturally curly hair that wears it straight and curly this is important. Variable heat and speed controls, this so important. For example if I am blow-drying my hair straight then high heat, fast speed is important. For scrunching I would use a lower heat and speed. The rule of thumb is the more sensitized you hair is the lower the heat you should apply to your hair. Cold blast, once you have styled your hair and it is fully dry, then a cold blast will set the new style in shape. Great for big bouncy curls, and trust me, if you fully dry a section of hair, then give it a cold blast whilst still around the brush. Then hold for a few seconds, the style will set better and hold longer. Nozzle, A nozzle directs all the airflow in one direction. Yes, I know it may be a bit fiddly when you have to turn the nozzle round when you change sides, and it’s hot. But trust me; use a nozzle and your hair will look smoother. The reason for this is the cuticle of the hair overlaps like the tiles on a room pointing downwards from root to tip. If you direct the nozzle over the cuticle and direct the airflow downwards they the cuticle with be styled flatter and smoother thus making the hair look so much shinier. 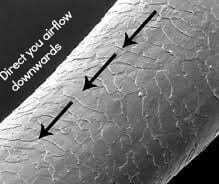 Using no nozzle and not correctly directing your airflow can result in the cuticle becoming raised, and look damaged and dull. A Diffuser, if like me you have curly hair it is so much easier to get a frizz free curl if you use a diffuser, the reason for this is the diffuser distributes the air into a wider area. Use you diffuser on low-speed and heat and you will create soft frizz free curls. And finally my top tips for styling. Use styling products and heat protection spray, you don’t need to use anything with ultra hold if you like your hair to have a natural hold, but light styling lotion and heat protection is a must, to keep hair shiny and healthy. Section you hair off and dry from the bottom section working up, work in small sections to ensure you get the hair fully dry for a longer lasting style. When drying the hair straight keep the dryer moving from side to side. You will dry your hair quicker and prevent damage. Concentrating heat on one area for to long can burn the hair and scalp. Although you can’t feel the hair burn, it results is increased porosity, raised cuticle and split ends and looks dull. Do a cold blast once the hair is dry to set the style. And lastly, look after your dryer. Clean the filter at the back on a regular basis and never allow the wires to twist up and become tangled, thus reducing the life of the dryer. 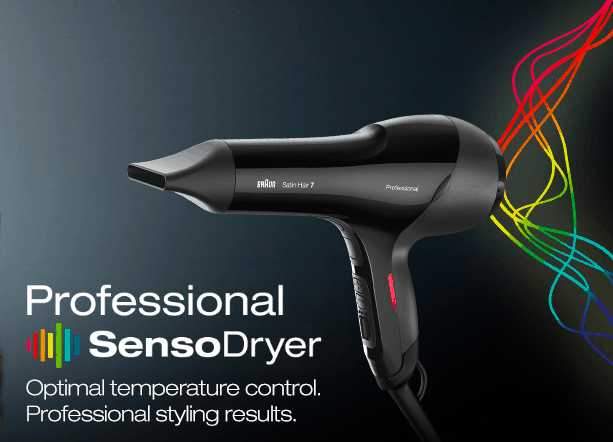 Great tips – I have to say I am fairly clueless when it comes to using a hair dryer – on the rare occasions I use them I just point it at my hair and wave it about until my hair seems reasonably dry. Although I did know about pointing it downwards to get smoother hair but everything else was all new to me so thank you for sharing. Top tip on the cold blast I have never ever done that, and to be honest I don’t think a hairdresser has either! Sarah – I am ashamed to say that I have no idea how to get to the filter on my hair-dryer or how to clean it. Ha! Maybe you could do another piece on that?? And LOTS of hair tutorials? Really great tips for buying a hair dryer. Sometimes, it takes a lot of time for deciding what is the right one for everyone. Thanks for sharing!